Today is D-Day in Belgium. For weeks now, all you hear about - whether it's on the news, or it's chatting amongst friends and colleagues - is this massive nationwide strike which takes place today. Well, it supposed to have started last night. What makes this a strike worthy of my post is that it's a rare case when all three unions apparently decided to strike at the same time. What does this mean? Today, public transport is down. There's no point in even trying to catch a bus because it just won't be running. Having a car may not be much blessing either. According to a news report last week, the protesters will be closing roads as well just to prevent any hardworking, overly expensive taxpaying citizen from going to work. This, of course, is also the first occasion when I felt quite happy on a morning of a massive strike in this country (I'll refrain from saying what I think of her today...). The reason being, all weather reports are showing this to be the coldest week all winter in Belgium, which has been oddly mild this year. It'll hit -9°C later this week, but it's supposed to snow lightly and stay well below 0°C today. So after weeks of planning, the unionists have basically decided on the worst possible day to get all their members out into the cold. The first day any weather report is reporting snow. As in the first day of snow in Belgium this winter. Isn't that just hilarious? The next best thing... They're having a European Union Summit today with all the heads of the member states. So this means my entire neighbourhood is going to be completely blocked. Actually, they started blocking yesterday already. On the bright side, there will probably be a bunch of frozen policeman statues outside the EU when I get back to that area tonight. Yup, as an unwilling citizen who pays an exorbitant about of money in taxes in this horrible country, I've had terrible experiences with the police. They have a notion of not treating everyone as innocent until proven guilty. I think it must be their intrinsic xenophobia which makes them think that if you're not white and Belgian, you're guilty for anything and everything. Notably, this happened the many times I've been mugged by Northern African minorities in the city... Ever seen a Far East Asian mug someone? Yeah, right! Update 09:11: it turns out, the police are probably all striking today as well so the thieves can run wild... Damn! So, I'm looking forward to a good day today because a bunch of people I don't particularly like... Sorry I didn't mean people, instead, a bunch of lower forms of life (something to that effect) I don't take and pity on... Will be frozen. And you know what? 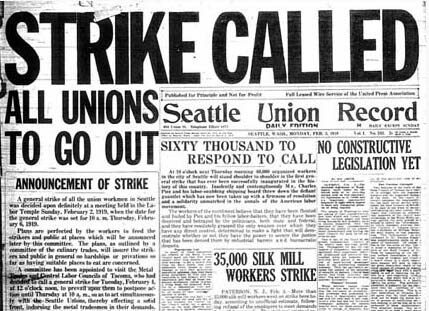 They only reason they called this strike is because union elections are up in a few months. They just want to prove they are doing something without anything actually on the agenda! Seriously... The more that freezes out there today means a better society for us tomorrow!